Battlefield V has been revealed, set in World War II. 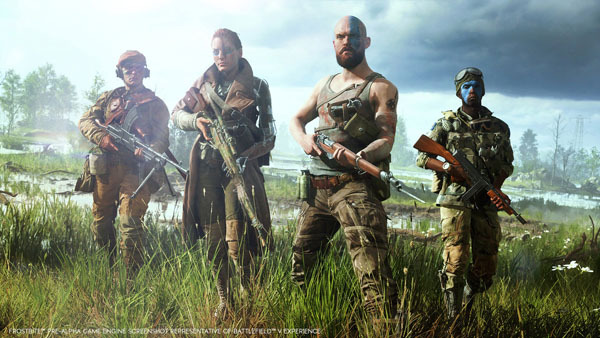 "Enter mankind's greatest conflict with Battlefield V as the series goes back to its roots with a never-before-seen portrayal of World War 2. Lead your squad to victory with new ways to turn the battlefield to your advantage. Assemble your Company of customized soldiers, weapons, and vehicles - then take them on an epic journey through the Tides of War. Experience the most intense, immersive Battlefield yet. You will never be the same." Available 19th October on PC via Origin, PlayStation 4 & Xbox One.